Six degrees of separation: A person is 6 or less steps away from another. A statement connects any 2 people in a maximum of 6 steps. 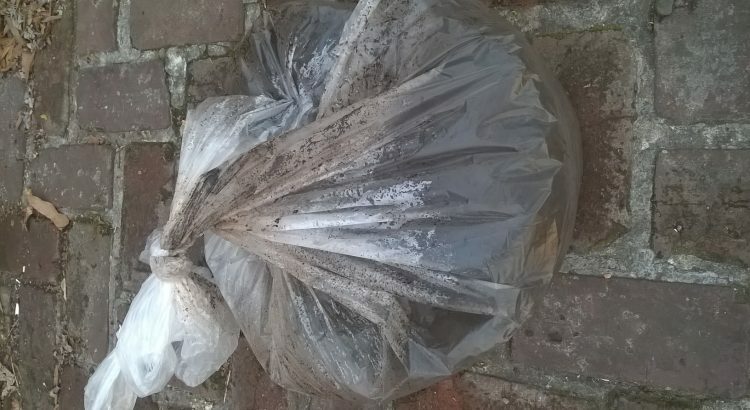 The photo is of a bag of coffee grounds from my local coffee shop (satellite office). 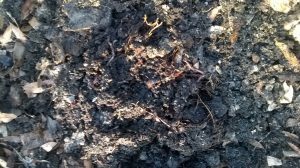 I have been recycling their and my coffee grounds for some time and using them to compost along with my other kitchen food scraps. Worms seem to thrive in the mix. That step alone has saved the grounds from entering the landfill and aided my composting and gardening efforts. I also have been saving the plastic bags. 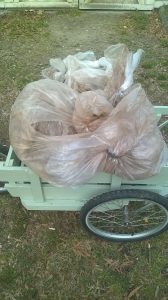 That has delayed the bags from going to the landfill and provided them for reuse, thus preventing the use of new bags, at least for a while. I have done this often during the past year. I am discussing the possibility of better solutions with the coffee shop mgr. I am certain we will find some. Sounds like a good strategy for you too.